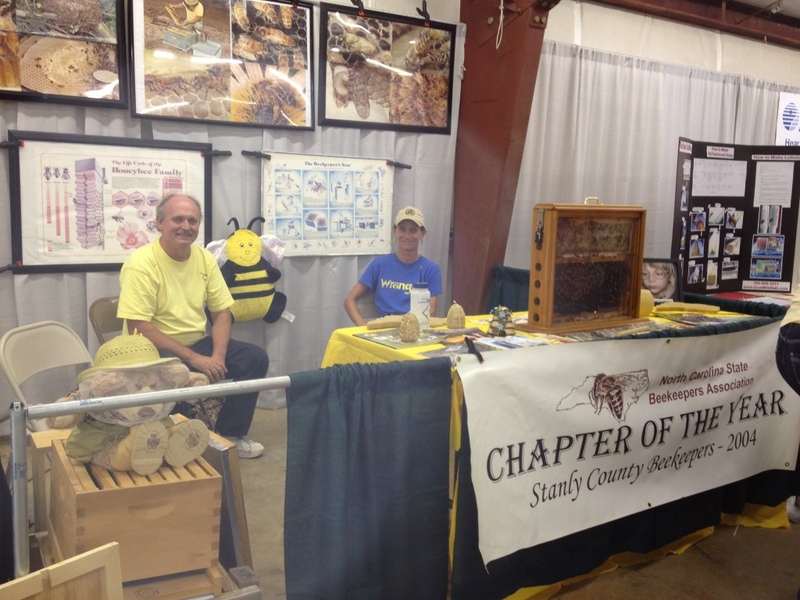 The September meeting of the Stanly County Beekeepers will be held on Thursday, September 13th, at Rocky River Springs Fish House in Aquadale. The meal will start at 6PM, and the business meeting will be held at 7PM. Bob Blackwelder of Cabarrus County will then give us a presentation on what he sees as the health of our bees in this part of the Piedmont, and will follow that up with what we should all be doing to prepare for the rapidly approaching Fall seasonal changes. Volunteers at stanly county fair. Thank you for donating your precious time. SCBA will have a booth at the Stanly County Fair this year. Come see our booth open from 4:00 p.m. to 10:p.m. on Wednesday, Thursday, and Friday and from noon to 10:00 p.m. on Saturday. Bee on the lookout for honey booths so you can stock up on Stanly County honey. second, expand upon the marketing theme that we began at the August meeting. Time: 6:00 p.m. dinner followed by the meeting at 7:00 p.m. Location: TBA as soon as the location becomes available.